Virtual assistants can take care of everything from formatting and proofreading your content to setting up complex integrations. Trying to get your course out there but getting slowed down by the admin and technical set-up? Get matched up with a Taskerly virtual assistant so we can handle the legwork while you focus on the bigger picture. Got a ton of moving pieces, timelines, and deadlines, oh my? I’ll take over backstage and sort through your schedule, coordinate your to-dos, and make sure Things Happen — so you can focus on doing what you do best. Pay under $100 for a small, one-time task, like setting up a custom domain or importing your course content. Hire someone to help you build your school or create custom coding. You've got a great idea but how can you transform it into a professional course that your students will love? Fine-tune your idea, map out your content, or have someone build your custom course from start to finish. Meet Seema K Bharwani, owner and founder of contentbyseema.com. Seema helps change makers like YOU create results-driven, learner-friendly online courses so that you can make a bigger impact in this world while having fun and making money (lots and lots of money). Web designers can help you customize your site to match your brand or website vision. All without you coding a thing. Look like a PRO and stand out from the crowd with expert Teachable theme design and development. Increase engagement, impress your students, boost conversions and grow your online course brand. 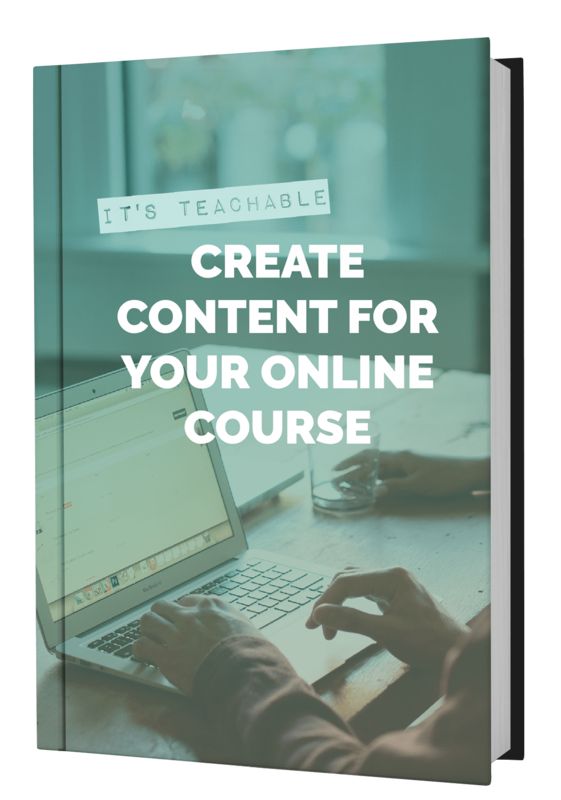 Want help selling your Teachable course to more students? If you want to attract more visitors to your school website and convert them into customers, marketing and sales experts can lend a hand. Do you have an online course that's getting good results and now you want to expand its success? We can help. Billy Bross of Linchpin Media has helped grow dozens of online courses using proven marketing strategies. Book a call today to see if you're a good fit for our services. Teachable Experts are third-party service providers who help Teachable customers build successful online courses and businesses. They are freelancers (such as web designers or virtual assistants), not Teachable employees. All Teachable experts have gone through an application process with Team Teachable. They have experience with Teachable customers, and a portfolio of successful projects in their field of expertise. Once you decide which expert is the right fit for you, you'll submit an inquiry via their third-party landing page (linked above). How can I become a Teachable Expert? We are not currently accepting new Teachable Experts. However, if our current experts reach capacity, or we find that Teachable customers are in need of a new service offering, we may add new Experts in the future. Due to the high volume of interest we receive, we cannot guarantee a response to every inquiry. You are welcome to submit an application here. How much does an expert cost? Pricing varies by service and expert. Some experts charge hourly rates, while others are on retainer or use project fees. Follow up with the expert of your choice to learn more about their offerings. Do I need a Teachable account? Yes! Click here to create your free school in seconds. What if I'm unhappy with my expert's services? If you’re unhappy for any reason, contact your Expert directly with any thoughts or concerns you may have. Teachable Experts are always looking for feedback to enhance your experience! Refunds are processed through the expert you’ve purchased a service from, not through Teachable. (They are third-party providers with their own unique refund policies.) Please contact the expert you worked with for additional information. What if I just have a question about Teachable? Our customer care team would be happy to help! Check out our Knowledge Base or contact us at teachable.com/help. Join 20,000+ course creators just like you in The Teachable Tribe. Use the search feature to see if anyone has asked similar questions, or get in touch with fellow course creators and the Teachable team.